University Road Methodist Church in Queen's Quarter, Belfast,was designed by William J. Barre in 1865 and was built with red sandstone. was designed by William J. Barre and constructed between1865-70. It is 113 feet high and built from sandstone. 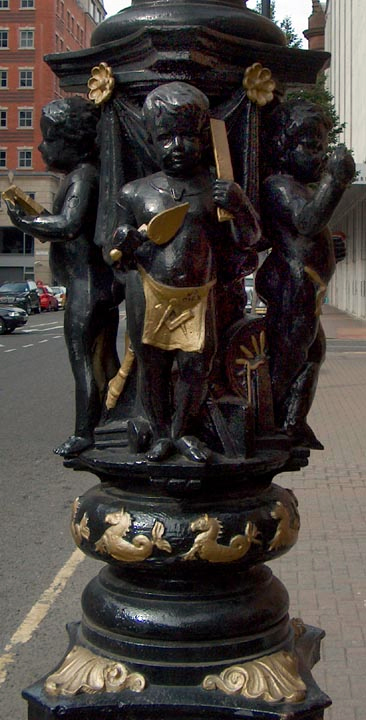 On a lampost outside the Ulster Hall is a cherub with Masonic Apron, trowel, and ruler. 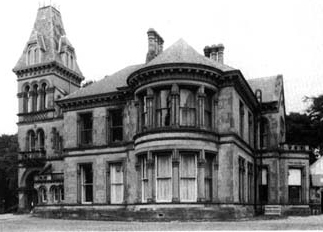 The Hall in Bedford Street, Belfast was designed by William J. Barre, built in 1859 and opened in 1862. Originally known as Clanwilliam House, the name was changed in the 1870s to Danesfort House. It was designed in 1864 by William Barre for Samuel Barbour, a linen thread manufacturer. This is a fine example of Barre's best works, built of fine ashlar stonework. 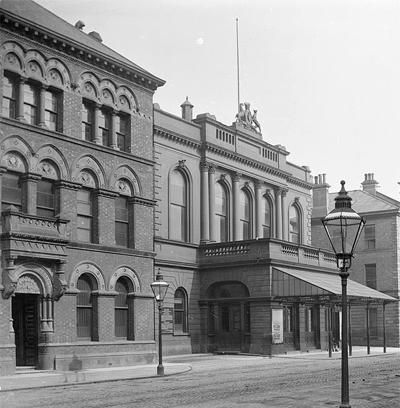 On the left is Bryson House (1865) by WJ Barre, a former linen warehouse, next is the Ulster Hall (1862) also by WJ Barre.